StackedSkincare® founder Kerry Benjamin has made dermaplaning at home possible for women who want to look their best, but don’t want to add a facial appointment to their to-do lists. 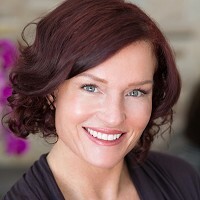 A licensed aesthetician, Kerry used her skills to create pro-grade facial tools that easily deliver glowing results. The dermaplaning blade removes dry skin cells and peach fuzz, leaving brighter, smoother skin behind. It’s a popular treatment that is typically done by a pro. But Kerry made the tool easy to handle, and added a safety guard to protect skin from nicks. The micro-exfoliation roller is prickly, like a microneedling experience that can boost skin cell growth and minimize early signs of aging. Both of these tools should not be used on active acne or irritated skin. And though the dermaplaning blade takes a bit of practice, the fresh-faced results are more than worth it. To quell redness and soothe puffiness, the facial ice roller goes from the freezer to your skin to deliver cooling relief. We appreciate how user-friendly these tools are (thank you, Kerry), and were impressed with how great our skin looked and felt after using them. Will dermaplaning make my hair grow back thicker and darker? This is only a myth. It is actually physiologically impossible for your hair to grow back thicker and darker. Dermaplaning is actually the best and healthiest way to remove your hair while actually benefiting your skin with a deep exfoliation. 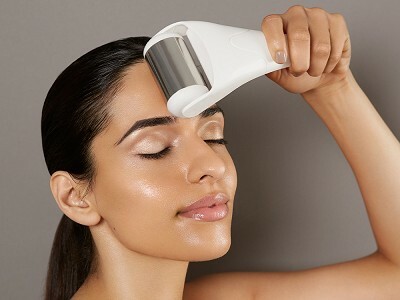 Will I experience any downtime after micro-rolling or dermaplaning? No, these treatments are pain-free and highly effective at-home procedures with no downtime. Do I need to clean the dermaplaning tool? You can care for your dermaplaning tool the same as you would care for your razor. Most people don't really disinfect their razors, but you can simply use rubbing alcohol on a tissue to wipe it off, if desired. Can I use the micro-roller to help improve the areas around my eyes? You can use the micro-roller under your eyes to treat dark circles and fine lines by your crows feet. Anything I should avoid with the micro-roller? Vitamin C serums tend to be very active and can cause irritation. Do not micro-roll over any active pustular acne as this can spread the bacteria.